Facebook, Inc. (NASDAQ:FB) is used to hitting it out of the park, but after delivering poor sales and user growth figures it was hit for six as the largest ever loss by market capitalisation of value in one day for a US traded company unfolded. The company’s shares plummeted from US$217.50 to a low of US$173.75 before closing just above its intraday low. To put this in perspective, the company’s shares are now trading broadly in line with where they were 12 months ago. To put this in perspective, the company’s shares are now trading broadly in line with where they were 12 months ago. Note that the NASDAQ index has increased from about 6380 points to 7900 points in the last 12 months, representing an uptick of nearly 25 per cent. That gives you an idea of the level of underperformance against its peers that is now implied by its share price. However, there are still those that believe in the stock. WATCH: This is what the experts are saying. A massive US$124 billion in value was decimated, and chief executive Mark Zuckerberg took a hit of circa US$16 billion. Not only did Facebook record a poor operating performance, the company also flagged lower profit margins in coming years. While it is easy to be wise after the event, it could be argued that the company’s valuation should have been questioned much earlier. As indicated in RBC Capital Markets, based on its share price of US$217.50 prior to the fall, Facebook was trading on a fiscal 2017 price-earnings (PE) multiple of 40 relative to the company’s 2017 earnings per share. The lower PE of 32 relates to the multiple following the sharp fall in the company’s shares. In broad terms, PE multiples should roughly align with the percentage of growth being delivered — a company trading on a PE of 40 should be delivering annual growth in the order of 40 per cent. Not only were Facebook’s earnings not growing at a rate of 40 per cent per annum, but the signs that growth could be slowing became evident over the last 12 months. However, a key indicator in any consumer sales industry is year-on-year growth as this tends to take into account seasonal factors and other external issues. Facebook's year-on-year growth has been on the decline since the second quarter of 2017. While the data appears worrying, RBC Capital Markets analyst Mark Mahaney’s commented that recommendation and earnings revisions suggest this is a buying opportunity. In fact, Mahaney went as far as to say, ‘This likely constitutes one of the best entry points you can get on Facebook’. He made several points in justifying why investors should not ‘unfriend’ Facebook, and while some of these may get a "LOL" response they are worth considering. He notes that Facebook still owns two of the largest media assets in the world in Facebook and Instagram. The group also owns the two largest messaging assets in the world in Messenger & WhatsApp. 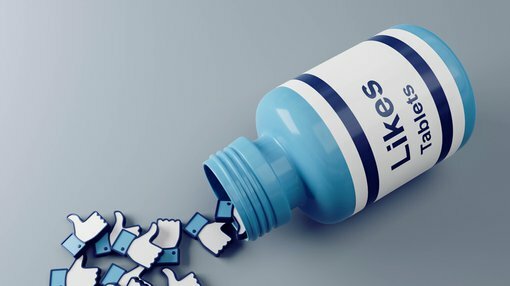 He said that RBC’s checks and management’s commentary suggest no material change in marketer views of the attractiveness of Facebook’s platforms. He also believes that monetisation of core Facebook and Instagram assets still has material upside potential and what’s more, Messenger & WhatsApp remain unmonetized. Mahaney highlighted that Facebook’s aggressive investments are improving platform security and creating future revenue streams. In conclusion, he underlined that even under pressure, Facebook has delivered impressive revenue growth. On this basis, Mahaney has only downgraded his price target from US$250 to US$225, while maintaining an outperform rating on the stock. Again, broker projections and price targets are only estimates and may not be met. Those considering this stock should seek independent financial advice. However, it isn’t so much revenue growth that investors are now worried about — it’s more about earnings. On this note, Facebook executives have predicted that the company would face lower profit margins for more than two years with Zuckerberg noting that heavy investment in security would impact profitability. Looking at the broader market reaction the news sent shockwaves through the investment community with the Sydney Morning Herald noting, “At least 16 brokerages cut their price targets on Facebook after Chief Financial Officer David Wehner on Wednesday night startled an otherwise routine call with analysts by saying the company faced a multi-year squeeze on its profit margins”. Multiply 16 brokers by their number of advisors, by their number of individual clients, and it would seem that the stock could remain out of favour for some time.